With cold and flu season upon us now, it’s vital to keep your immune system healthy by boosting it with a good diet and exercise routine, quality sleep, and supplements. While you could get all your nutrients from diet alone, most people have a hard time doing so because of time and financial constraints. Fresh food is quite expensive and doesn’t last nearly as long as supplements do, so if you feel you’re lacking in vitamins and minerals, supplements might be the way to go. 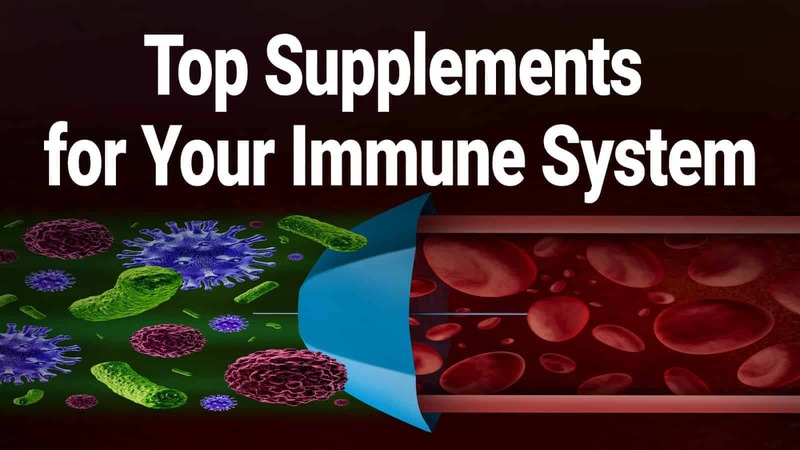 We’ll go over some of the best supplements out there to help protect you from getting sick and provide immune system support. Vitamin D helps the body absorb calcium and strengthen bones. 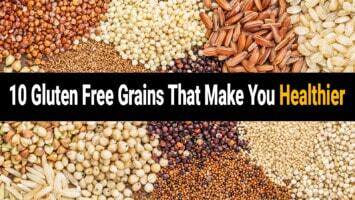 It is also believed to protect against heart disease, depression, and certain types of cancer. Because we get Vitamin D from sunlight, those who live in the northern hemisphere may find themselves at a disadvantage due to inadequate sun exposure. More than 36 percent of adults suffer from a Vitamin D deficiency, which can lead to decreased immunity and other health problems. Supplementing with Vitamin D can help protect your body’s immune system and support healthy bones. If you decide to take Vitamin D supplements, nutritionists recommend taking Vitamin D3 instead of D2 because it is the natural form that our bodies make from sunlight. Because this mineral is high in antioxidants and serves as an anti-inflammatory, it’s a powerful tool to boost your immune system. Zinc also helps with enzyme function, protein synthesis, and wound healing. Studies have shown that people who took a zinc acetate lozenge (13.3 milligrams zinc) were able to nip their cold symptoms (cough, nasal discharge, and muscle aches) in the bud much quicker than those who took a placebo. While you can get zinc from foods like seafood, eggs, legumes, nuts, seeds, and soy products, an estimated 1.1 billion people worldwide suffer from a zinc deficiency. This is why zinc supplements are vital for those who don’t get enough zinc from their diet alone. If you choose to take a supplement for your immune system, make sure it contains zinc methionate, since this is a highly absorbable form of the mineral. While more research still needs to be done on elderberry, many people swear by it for its ability to ward off colds and flus. In fact, a 2016 study found that people who traveled by plane frequently and supplemented with elderberry had fewer colds and lower symptom scores than the placebo group. Elderberry is high in Vitamin C and antioxidants, which might explain why it protects the immune system so well. You can take this supplement in syrup, gummy, or capsule form, but make sure to read the ingredients to ensure no additives (such as sugar) are present. 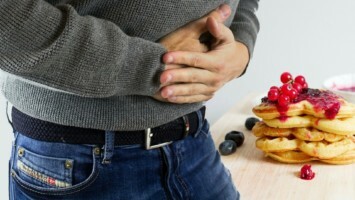 Did you know that the gut houses 70 percent of your immune system? Unfortunately, many people don’t have enough good bacteria in their gut, which can lead to poor immune system function. Probiotics can bring good bacteria into your gut, decrease inflammation, and promote better digestion. 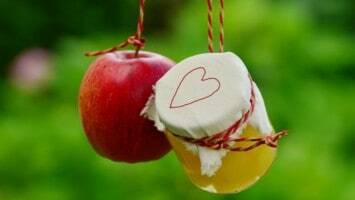 You can also eat fermented foods such as yogurt, kefir, kimchi, and sauerkraut, but probiotics are easier to take. They are often more affordable as well. However, with so many probiotics on the market today, how do you know which one to buy? In general, you need to make sure the supplement has the genus, species, and strain you’re looking for. There are thousands of different strains, all of which work differently in the body, so research what you need before purchasing it. Also, make sure it says somewhere on the bottle how much bacteria you will get in one dose. One good supplement is the GoodBelly Probiotic Supplement since it contains ten billion live cultures of probiotic strain LP299v, plus it’s been proven to promote healthy digestion and flood your gut with good bacteria in more than 50 human clinical trials. People use oregano in a variety of dishes, but it has been used for medicinal purposes as well for thousands of years. Oregano contains antibacterial and antiviral properties that may reduce coughing frequency. It may also boost your immune system by increasing the flow of bile. If you decide to supplement with oil of oregano, choose one that’s free of additives and is organic, if possible. This blue-green algae is available in powder or capsule form and is rich in Vitamin B12, iron, Vitamin C, potassium, magnesium, zinc, other B vitamins, Omega 3s, and fiber. Chlorella also contains a high amount of antioxidants which can help boost your immune system. Mushrooms provide a powerhouse of nutrients such as B vitamins, selenium, Vitamin D, potassium, copper, iron, and phosphorus, among others. However, not everyone enjoys the taste and texture of mushrooms in their diet. This is where mushroom extract comes into play. Mushrooms help the immune cells fight infections, which will aid in boosting immune support. As always, if you want to try mushroom extract, make sure to research the company thoroughly before purchasing. Garlic is one of the most widely used natural cold and flu remedies. People have used garlic to cure diseases for thousands of years. It is believed that a compound called allicin, an antibacterial and antifungal, is a key component to preventing illnesses. However, garlic must be consumed raw, as cooking it virtually destroys the healing parts of the vegetable. Though you may have never heard of this herb before, astragalus is used in traditional Chinese medicine to keep the immune system working properly. A study from Beijing, China showed that astragalus helps control T-helper cells 1 and 2, which regulate the immune system. It also contains antioxidants that can prevent damage from free radicals. You can find this root in powder or pill form. Ginseng root has been proven to prevent colds, ease a sore throat, and reduce sneezing. Some research shows that ginseng could help nip colds in the bud faster as well. The recommended dose is 200 mg of ginseng per day, which you can also take in powder or capsule form. In the cold winter months, the body must work harder to keep itself going, which means it needs a steady dose of nutrients. However, many people don’t feel like eating cold fruits and vegetables in the winter, so a multivitamin can prove useful to make up for any shortages. It can also bolster your immune system, helping to prevent colds and flu. Don’t take a supplement that has more than 100% of the daily value for any vitamin or mineral. Choose a vitamin with a maximum of 3,000-3,500 International Units (IUs) of vitamin A. Men and postmenopausal women should choose vitamins with 50% or less of the DV for iron. Most vitamins won’t have 100% of the DV for calcium or magnesium because this would make the pills quite large. Look for the USP (United States Pharmacopeia) symbol, which means the vitamin is high quality. Watch out for additives such as herbs, which are unnecessary and make the product more expensive. Buy generic when you can, and stay away from vitamins designed for certain sexes or age groups. 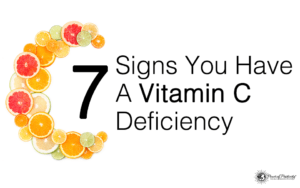 Anytime you get a cold, people will urge you to take Vitamin C to get better quickly. Because Vitamin C helps with antibody production and function, it is vital to a healthy immune system. However, Vitamin C doesn’t just support your immune system when you already have a cold. It’s been shown that higher doses of vitamin C help the immune system fight infections, which might mean your body can fight off a cold before it even infects you. If you don’t get enough Vitamin C through diet alone, you can supplement with Emergen-C packets, which also contain other vitamins and minerals. Or, you can opt for another Vitamin C supplement; just make sure to read the ingredient list for any impurities. Also, you want to ensure that the supplement you choose has all three types of Vitamin C – ascorbic acid, calcium ascorbate and sodium ascorbate – in order to increase effectiveness. South African geranium, or umckaloabo, is commonly used orally for upper respiratory infections such as bronchitis, sinusitis, and sore throat. Some studies have shown that it may speed up recovery from the cold and flu and also lessen the severity of symptoms. You can get South African geranium as a chewable tablet, capsule, or liquid. If you choose the liquid form, be sure to add honey to ease a sore throat. We hope one of the supplements listed above will help strengthen your immune system and keep colds and flus at bay this winter season. As always, the best course of action for keeping yourself healthy is eating right, exercising, getting enough sleep, practicing positive thinking, and making time for self-care. However, if you find yourself needing an extra boost, these supplements will do just the trick.